I'm using Tortoise v1.6.7 but have had this problem all along since I installed Tortoise, just never looked into it but it's extremely annoying. So I found this article. However since I can't figure out how to do svn command line calls with Tortoise, I simply went into the repository and opened up the pre-refprop-change template and below is what's in it. So still trying to figure out how to change this so that Tortoise (subversion that is) allows me to edit comments. Why would one desire to edit comments? Because there are many times I f'd up and forgot to add more comments after a commit after I realized I missed x,y,z that should have been in the comments after the fact. Happens to anyone. While it's a security risk to allow developers to do this, we back up our repository every 2 hours so if anyone goes through and deletes them, oh well, I am willing to take that risk as we have this backed up. That risk should not overshadow the ability to fix comments at will. Just a little follow-up to Stefan's excellent answer for those using VisualSVN Server. 1.) Start your VisualSVN Server Management Console. 5.) Close all dialog boxes with OK and then you are done. The next time you change the log message it should succeed. If you are using an online svn hosting service like assembla, then use the instructions given by Uwe Keim to guide you. You only need to find your svn settings somewhere the the svn hosts website. For assembla > go to your project > svn tab > settings > server-side hooks in left menu > look at "Available pre-revprop-change hooks" > click the install button next to it > click on the svn tab to get back to your project. Create a bat file using only "exit 0". Remove all other rem'ed lines. 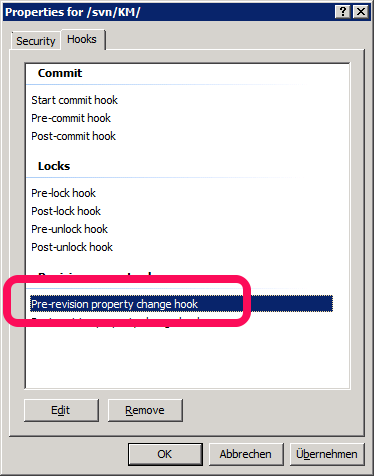 Save it to Path\Repositories\hooks folder as "pre-revprop-change.bat" and try re-running. Not the answer you're looking for? Browse other questions tagged svn tortoisesvn svn-hooks or ask your own question. 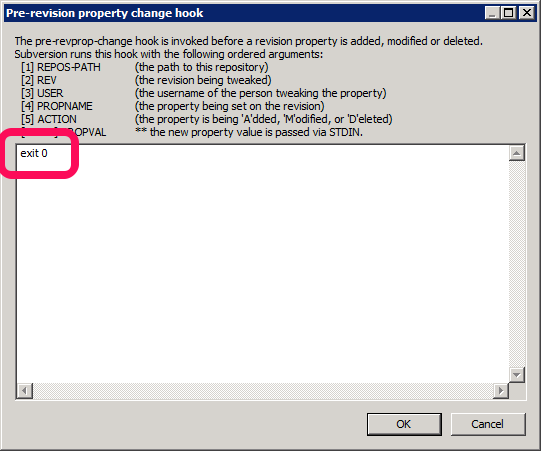 What is a pre-revprop-change hook in SVN, and how do I create it? 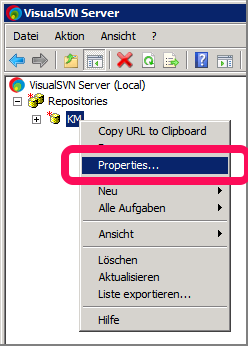 How to remotely migrate (a part of) svn repository to another svn repository without adding any hook?